On 4 August 2018, a Junkers Ju 52 passenger aircraft operated by Ju-Air crashed near Piz Segnas, Switzerland, while en route from Locarno to Dübendorf. All 20 people on board were killed. The Junkers Ju 52/3m is a German transport aircraft manufactured from 1931 to 1952, initially designed with a single engine but subsequently produced as a trimotor. It had both civilian and military service during the 1930s and 1940s. In a civilian role, it flew with over 12 air carriers including Swissair and Deutsche Luft Hansa as an airliner and freight hauler. In a military role, it flew with the Luftwaffe as a troop and cargo transport and briefly as a medium bomber. The Ju 52 continued in postwar service with military and civilian air fleets well into the 1980s. The aircraft has continued to be used well beyond that date for purposes such as sightseeing. Piz Segnas is a mountain in the Glarus Alps, located on the border between the cantons of Glarus and Graubünden. Piz Sardona is on the same ridge to the north, from where the Trinserhorn or Piz Dolf lies to the southeast. The Tschingelhoerner with the famous Martinsloch lies to the west, with the Pass dil Segnas between the two mountains. Locarno is a southern Swiss town and municipality in the district Locarno, located on the northern shore of Lake Maggiore at its northeastern tip in the canton of Ticino at the southern foot of the Swiss Alps. It has a population of about 16,000 (proper), and about 56,000 for the agglomeration of the same name including Ascona besides other municipalities. It was the first fatal crash of a Ju-Air aircraft since the company began operations in 1982. The cause of the crash is under investigation. Locarno Airport, , mil ICAO code LSMO, is an airport located near the city of Locarno, Ticino, Switzerland. It is a mixed civilian and military airport. The airfield is used simultaneously by civilian aircraft and the Swiss Air Force from the "airfield command Locarno". Although they use the same runways, the Swiss Air Force has its own taxiways and parking and a large hangar. It is located in the community of Gordola, seven kilometers from the Locarno City center. The nearest stop to the Swiss Federal Railways is the 2 km distant station Riazzino of railway Giubiasco Locarno. Militärflugplatz Dübendorf is a military airfield northeast of Dübendorf in Switzerland, located east of Zürich. 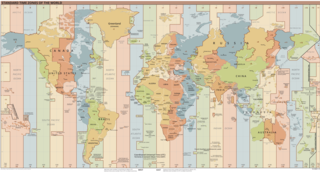 Coordinated Universal Time is the primary time standard by which the world regulates clocks and time. It is within about 1 second of mean solar time at 0° longitude, and is not adjusted for daylight saving time. In some countries where English is spoken, the term Greenwich Mean Time (GMT) is often used as a synonym for UTC and predates UTC by nearly 300 years. The Tschingelhörner mountain ridge looking northwest, with the Martinsloch hole (centre) and Segnas Pass (right). The Ju 52 crashed on the plateau below. 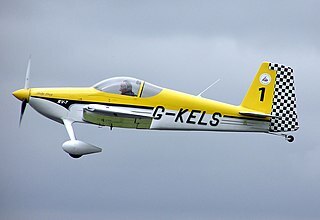 An aircraft registration is a code unique to a single aircraft, required by international convention to be marked on the exterior of every civil aircraft. The registration indicates the aircraft's country of registration, and functions much like an automobile license plate. This code must also appear in its Certificate of Registration, issued by the relevant National Aviation Authority (NAA). An aircraft can only have one registration, in one jurisdiction, though it is changeable over the life of the aircraft. The Swiss Air Force is the air component of the Swiss Armed Forces, established on 31 July 1914 as part of the army and in October 1936 as an independent service. Where Eagles Dare is a 1968 British Metrocolor World War II action film directed by Brian G. Hutton and starring Richard Burton, Clint Eastwood and Mary Ure. It was distributed by Metro-Goldwyn-Mayer, filmed in Panavision, and shot on location in Austria and Bavaria. Alistair MacLean wrote the novel of the same name and the screenplay at the same time. It was his first screenplay; both film and book became commercial successes. Swissair AG/S.A. was the national airline of Switzerland between its founding in 1931 and bankruptcy in 2002. Swiss International Air Lines AG, commonly referred to as Swiss, is the national airline of Switzerland, operating scheduled services in Europe and to North America, South America, Africa and Asia. Zurich Airport is its hub, Geneva Airport is a focus city. The airline was formed following the bankruptcy in 2002 of Swissair, Switzerland's then flag carrier. The new airline was built around what had been Swissair's regional subsidiary, Crossair. Swiss retains Crossair's IATA code LX. It assumed Swissair's old ICAO code of SWR, to maintain international traffic rights. It is a member of Star Alliance and a subsidiary of the Lufthansa Group. Its headquarters are at EuroAirport Basel Mulhouse Freiburg near Basel, Switzerland, and an office at Zurich Airport in Kloten, Switzerland. The company's registered office is in Basel. Edelweiss Air is a Swiss leisure airline wholly owned by Swiss International Air Lines which in turn is owned by Lufthansa. It operates flights to European and intercontinental destinations from its base at Zürich Airport. The Societé Anonyme Belge d'Exploitation de la Navigation Aérienne,, better known internationally by the acronym Sabena or SABENA, was the national airline of Belgium from 1923 to 2001, with its base at Brussels National Airport. After its bankruptcy in 2001, the newly formed SN Brussels Airlines took over part of Sabena's assets in February 2002, which became Brussels Airlines after a merger with Virgin Express in March 2007. The airline's corporate headquarters were located in the Sabena House on the grounds of Brussels Airport in Zaventem. Swissair Flight 111 was a scheduled international passenger flight from John F. Kennedy International Airport in New York City, United States to Cointrin International Airport in Geneva, Switzerland. This flight was also a codeshare flight with Delta Air Lines. On 2 September 1998, the McDonnell Douglas MD-11 performing this flight, registration HB-IWF, crashed into the Atlantic Ocean southwest of Halifax International Airport at the entrance to St. Margarets Bay, Nova Scotia. The crash site was 8 kilometres (5 mi) from shore, roughly equidistant from the tiny fishing and tourist communities of Peggy's Cove and Bayswater. All 229 passengers and crew onboard the MD-11 were killed, making the crash the deadliest McDonnell Douglas MD-11 accident in aviation history. Crossair Flight LX 3597 was a scheduled flight from Berlin Tegel Airport, in Germany, to Zürich Airport, in Switzerland. On 24 November 2001, the Crossair Avro RJ100 operating the route, registration HB-IXM, crashed into a wooded range of hills near Bassersdorf and caught fire, killing 24 of the 33 people on board. On 16 November 1937 a Junkers Ju 52/3m owned by Belgian airline SABENA, operating as a scheduled international passenger flight from Cologne, Germany, to London, England, crashed near Ostend, Belgium. The aircraft hit a tall factory chimney while attempting to land at Steene aerodrome near Ostend, Belgium. The accident killed prominent members of the Hesse royal family on the way to London for the wedding of Louis, Prince of Hesse and by Rhine. Deutsche Luft Hansa A.G. was a German airline, serving as flag carrier of the country during the later years of the Weimar Republic and throughout Nazi Germany. Crossair Flight 498 was a commuter flight from Zurich, Switzerland, to Dresden, Germany, that crashed two minutes after takeoff in the Swiss municipality of Niederhasli on 10 January 2000. The seven passengers and three crew members aboard the two-turboprop engine Saab 340B aircraft all died on impact. It was the first fatal crash for the Swiss regional airline Crossair in its 25-year history. Suicide by pilot is an event in which a certified or uncertified pilot deliberately crashes or attempts to crash an aircraft in a suicide attempt, sometimes to kill passengers on board or people on the ground. This is sometimes described as a murder–suicide. It is suspected as being a possible cause of the crashes of several commercial flights and is confirmed as the cause in others. Generally, it is difficult for crash investigators to determine the motives of the pilots, since they sometimes act deliberately to turn off recording devices or otherwise hinder future investigations. As a result, pilot suicide can be difficult to prove with certainty. The Lufttransportdienst des Bundes (LTDB) ,operates the aircraft and helicopters of the Swiss government. 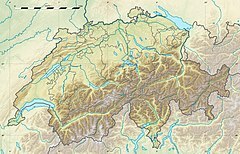 The LTDB is located at Bern Airport. Since 2005, the LTDB has been part of the Swiss Air Force. Prior to that, she was assigned to the Federal Office of Civil Aviation. Iran Aseman Airlines Flight 3704 was a scheduled Iranian domestic passenger flight from Tehran to Yasuj operated by Iran Aseman Airlines. On 18 February 2018, the aircraft serving the flight, an ATR 72-212, crashed into Mount Dena in the Zagros Mountains near Noqol village in Semirom county, Isfahan Province. All 6 crew and 60 passengers aboard were killed. US-Bangla Airlines Flight 211 was a scheduled international passenger flight by US-Bangla Airlines from Shahjalal International Airport in Dhaka, Bangladesh to Tribhuvan International Airport in Kathmandu, Nepal. On 12 March 2018, the aircraft serving the flight, a 78-seater Bombardier Dash 8 Q400, crashed on landing, and burst into flames. There were 67 passengers and 4 crew members on board; 52 people died, while 19 survived. ↑ Die Wetterstation liegt in etwa 2500 m Höhe am Crap Masegn. 1 2 3 4 Hradecky, Simon (4 August 2018). "Crash: Ju-Air JU52 at Piz Segnas on Aug 4th 2018, impacted terrain". The Aviation Herald. Retrieved 5 August 2018. 1 2 "HB-HOT Accident description". Aviation Safety Network. Retrieved 5 August 2018. 1 2 "Vintage plane crashes in Swiss Alps, killing all 20 on board". USA Today . Associated Press. 5 August 2018. Retrieved 5 August 2018. 1 2 "Vingt morts dans l'accident d'un avion militaire de collection suisse" [Twenty dead in the crash of a Swiss military aircraft] (in French). La Croix. Retrieved 5 August 2018. ↑ "Flugzeug mit 20 Personen beim Piz Segnas abgestürzt" [Plane with 20 people crashed at Piz Segnas] (in German). Blick. 4 August 2018. Retrieved 5 August 2018. ↑ Hughes Neghaiwi, Brenna (4 August 2018). "Second plane crashes in Swiss Alps on Saturday". Reuters . Retrieved 5 August 2018. 1 2 "Bis zu 20 Todesopfer befürchtet" [Up to 20 fatalities feared] (in German). 20-Minuten. 4 August 2018. Retrieved 5 August 2018. 1 2 3 4 "Vintage aircraft crash kills 20 people". Swissinfo . 6 August 2018. Retrieved 9 August 2018. ↑ "Switzerland crash: Twenty dead in WW2 plane crash". BBC News. 5 August 2018. Retrieved 5 August 2018. ↑ Neghaiwi, Brenna Hughes. "Swiss airline to resume flights two weeks after deadly crash". U.S. Retrieved 2018-08-08. ↑ "Swiss vintage planes resume flights after crash" . Retrieved 21 August 2018. ↑ Kaminski-Morrow, David (12 March 2019). "Swiss regulators have banned Junkers Ju 52 operator Ju-Air from conducting commercial passenger flights with the fleet, although it will be permitted to offer private flights for club members". FlightGlobal . Retrieved 25 March 2019. ↑ "'Sie ist wie ein Stein zu Boden gestürzt'" ['It fell like a stone to the ground'] (in German). Spiegel. 5 August 2018. Retrieved 5 August 2018. ↑ "Heat wave could be behind Swiss crash of vintage plane that killed 20 in the Alps". KIRO7 Seattle. Retrieved 6 August 2018. ↑ "Ju 52 Crash: Mögliche Videos der Passagiere als "Blackbox-Ersatz"" [Ju 52 crash: possible videos of passengers as a "black box replacement"]. Austrian Wings (in German). 9 August 2018. Retrieved 9 August 2018. ↑ "(untitled)" (PDF) (in German). Schweizerische Sicherheitsuntersuchungsstelle. 15 August 2018. Retrieved 21 August 2018. ↑ "Zwischenbericht der SUST über den Unfall des Verkehrsflugzeuges Junkers Ju 52/3m g4e, HB-HOT" (PDF) (in German). Schweizerische Sicherheitsuntersuchungsstelle. 20 November 2018. Retrieved 20 November 2018.